Navigating narrow streets or trying to park in congested areas requires skill – and choosing the best cars for city driving. These are not mutually exclusive, and much depends on how much you intend to spend as well as your overall driving needs. Look for cars that have a tight turning radius, are easy to maneuver, and have good overall visibility. Remember that the larger the car, the more difficult it will be to manage on crowded roads and streets. In selecting these three Best Cars for City Driving, we’ve looked at some popular subcompact and midsize cars – good for transporting families and providing comfort and space. We’ve examined their intrinsic appeal as well, and thrown in comments from automotive experts to back up our selections. 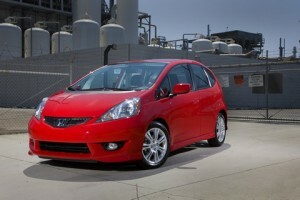 Honda Fit – Redesigned for 2009, the subcompact, affordable Honda Fit is fun to drive, has great visibility from front and rear rows, is spacious and comfortable. Edmunds hails Fit as “highly maneuverable and a great urban runabout,” whose “wonderfully direct steering…feels light and nimble while cornering.” Car and Driver names the 2009 Honda Fit one of its 10 Best Cars, saying Fit’s “agility ranks at the top of the econocar charts” and “if there’s a better combination of thrift, practicality and fun-to-drive, we haven’t seen it yet.” U.S. News and World Report says Fit is a “good value over time” and named it 2009 U.S. News Best Car for the Money. 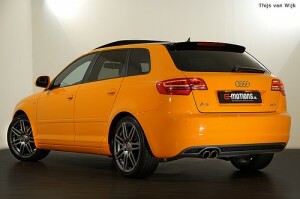 Audi A3 – Forbes lists the Audi A3 in its 2009 list of Best and Worst Cars for City Driving. New Car Test Drive comments that the 2007 A3 “is a high-quality car that offers premium handling and safety, roominess and practicality, yet is still easy to park and, with the 2.0-liter turbo engine, is easy on fuel.” Edmunds remarks that “small, space-efficient vehicles are very popular [in Europe’s crowded cities] because of their versatility, fuel efficiency and nimble nature,” and Audi offers the luxury compact A3 to Americans as a prime example of its engineering excellence in its entry-level car. Want more Best Cars for City Driving choices? 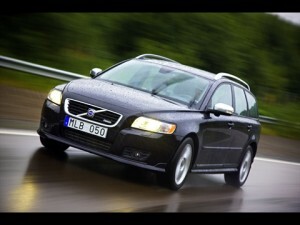 Also take a look at Chevrolet Malibu, Ford Focus, Mercury Milan, Mazda Mazda6, MINI Cooper, and Saab 9-2X.